Gino Odjick Jersey There are 15 products. 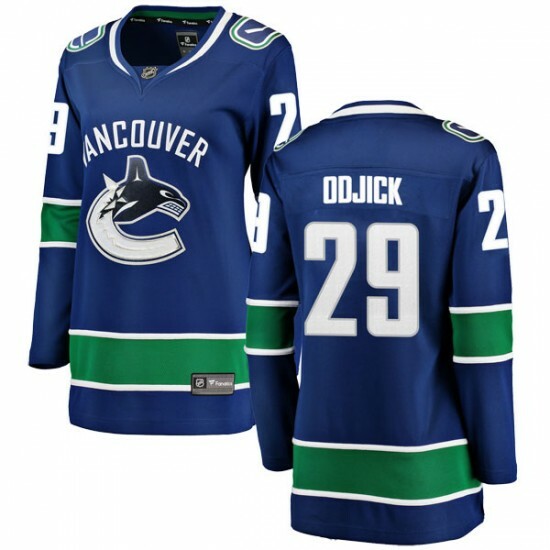 Show them you are the #1 Vancouver Canucks fan when you wear this Men's Vancouver Canucks Gino Odjick Fanatics Branded Breakaway Home Jersey - Blue! Featuring Vancouver Canucks graphics, this jersey will keep you comfortable and full of team spirit. It is a must-have for fans of any age! 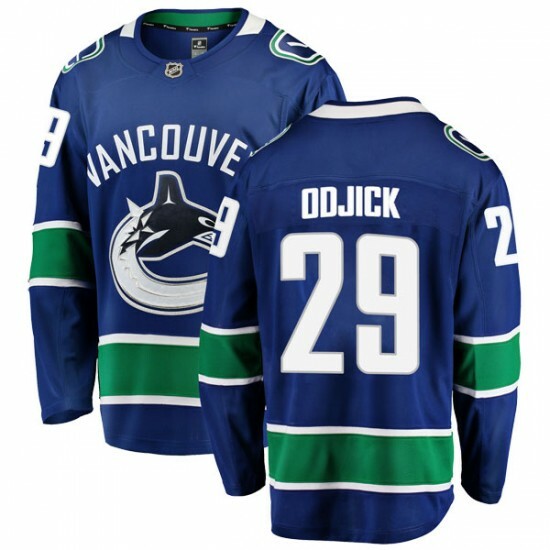 Show them you are the #1 Vancouver Canucks fan when you wear this Youth Vancouver Canucks Gino Odjick Fanatics Branded Breakaway Home Jersey - Blue! Featuring Vancouver Canucks graphics, this jersey will keep you comfortable and full of team spirit. It is a must-have for fans of any age! 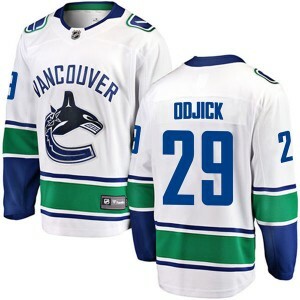 Show them you are the #1 Vancouver Canucks fan when you wear this Men's Vancouver Canucks Gino Odjick Fanatics Branded Breakaway Away Jersey - White! Featuring Vancouver Canucks graphics, this jersey will keep you comfortable and full of team spirit. It is a must-have for fans of any age! 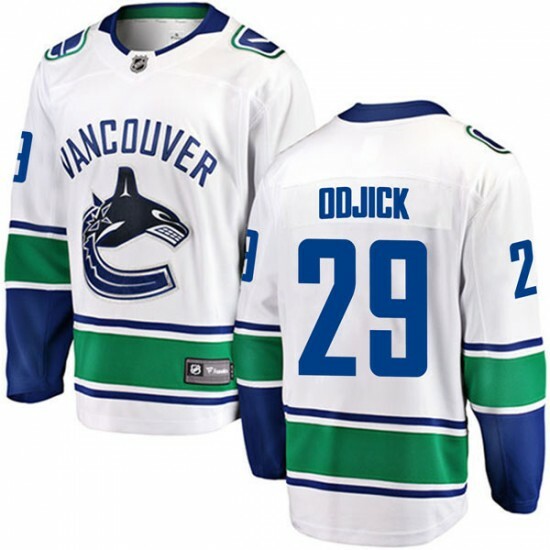 Show them you are the #1 Vancouver Canucks fan when you wear this Youth Vancouver Canucks Gino Odjick Fanatics Branded Breakaway Away Jersey - White! Featuring Vancouver Canucks graphics, this jersey will keep you comfortable and full of team spirit. It is a must-have for fans of any age! 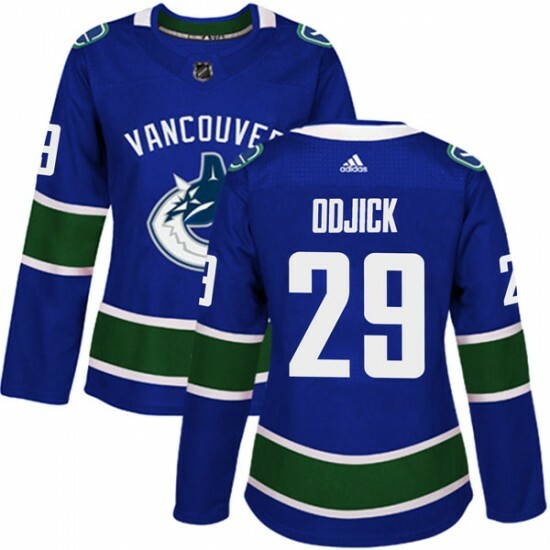 Prove you are the #1 Vancouver Canucks fan with this Men's Vancouver Canucks Gino Odjick Adidas Authentic Home Jersey - Blue! This jersey is perfect for the Vancouver Canucks fan who wants a great new way to show some spirit for the Canucks. Prove you are the #1 Vancouver Canucks fan with this Youth Vancouver Canucks Gino Odjick Adidas Authentic Home Jersey - Blue! This jersey is perfect for the Vancouver Canucks fan who wants a great new way to show some spirit for the Canucks. 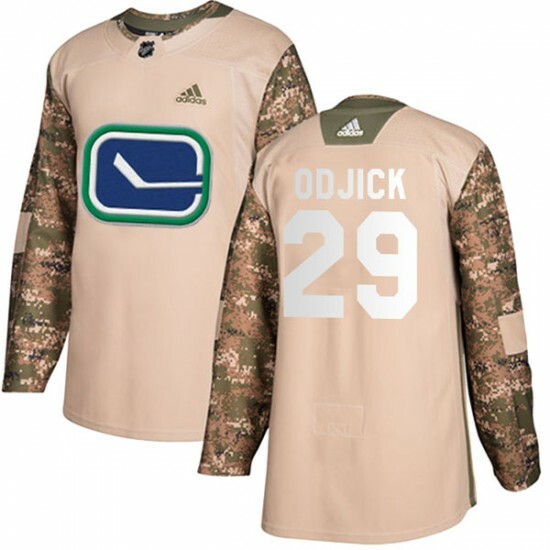 Prove you are the #1 Vancouver Canucks fan with this Men's Vancouver Canucks Gino Odjick Adidas Authentic Veterans Day Practice Jersey - Camo! This jersey is perfect for the Vancouver Canucks fan who wants a great new way to show some spirit for the Canucks. Prove you are the #1 Vancouver Canucks fan with this Youth Vancouver Canucks Gino Odjick Adidas Authentic Veterans Day Practice Jersey - Camo! This jersey is perfect for the Vancouver Canucks fan who wants a great new way to show some spirit for the Canucks. 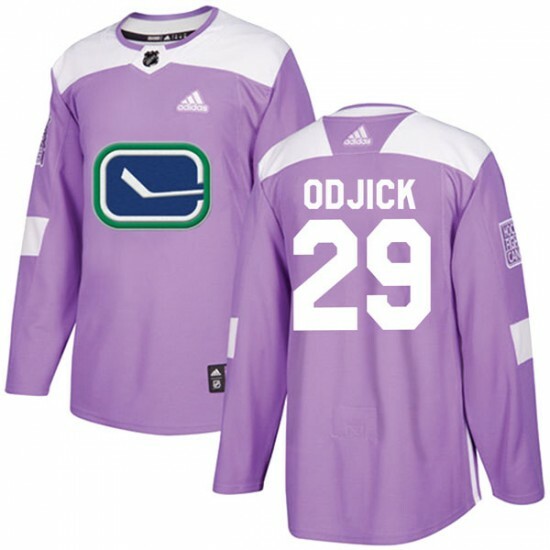 Prove you are the #1 Vancouver Canucks fan with this Men's Vancouver Canucks Gino Odjick Adidas Authentic Fights Cancer Practice Jersey - Purple! This jersey is perfect for the Vancouver Canucks fan who wants a great new way to show some spirit for the Canucks. Prove you are the #1 Vancouver Canucks fan with this Youth Vancouver Canucks Gino Odjick Adidas Authentic Fights Cancer Practice Jersey - Purple! This jersey is perfect for the Vancouver Canucks fan who wants a great new way to show some spirit for the Canucks. 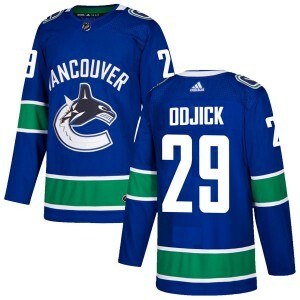 Show them you are the #1 Vancouver Canucks fan when you wear this Women's Vancouver Canucks Gino Odjick Fanatics Branded Breakaway Home Jersey - Blue! Featuring Vancouver Canucks graphics, this jersey will keep you comfortable and full of team spirit. It is a must-have for fans of any age! 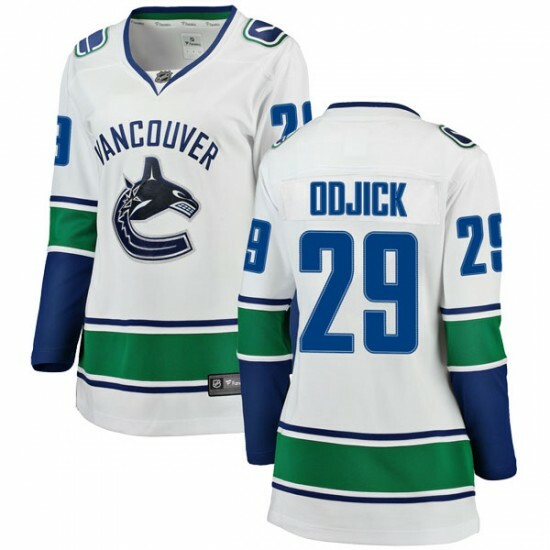 Show them you are the #1 Vancouver Canucks fan when you wear this Women's Vancouver Canucks Gino Odjick Fanatics Branded Breakaway Away Jersey - White! Featuring Vancouver Canucks graphics, this jersey will keep you comfortable and full of team spirit. It is a must-have for fans of any age! 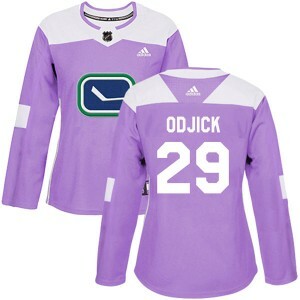 Prove you are the #1 Vancouver Canucks fan with this Women's Vancouver Canucks Gino Odjick Adidas Authentic Home Jersey - Blue! This jersey is perfect for the Vancouver Canucks fan who wants a great new way to show some spirit for the Canucks. 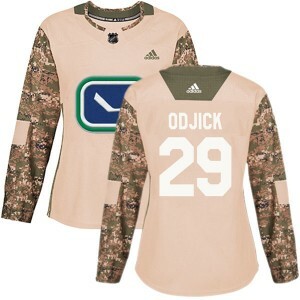 Prove you are the #1 Vancouver Canucks fan with this Women's Vancouver Canucks Gino Odjick Adidas Authentic Veterans Day Practice Jersey - Camo! This jersey is perfect for the Vancouver Canucks fan who wants a great new way to show some spirit for the Canucks. 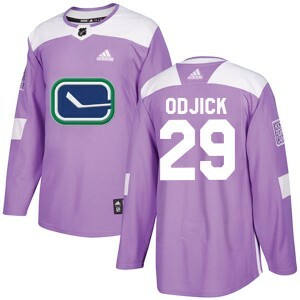 Prove you are the #1 Vancouver Canucks fan with this Women's Vancouver Canucks Gino Odjick Adidas Authentic Fights Cancer Practice Jersey - Purple! This jersey is perfect for the Vancouver Canucks fan who wants a great new way to show some spirit for the Canucks.